Boston, MA, and Oxford, UK | 17 May 2018 | Preservica has today announced that its market- leading range of cloud hosted (SaaS) active digital preservation and access solutions are now available in the AWS Asia Pacific (Sydney) region. Preservica’s SaaS active digital preservation portfolio is already used by a large community of businesses, archives, libraries and government institutions across the US, Europe and Canada, and now provides Australian organizations with an affordable and secure way to protect and provide access to long-term digital content using in-country cloud hosting and storage. The SaaS range includes options for dedicated private cloud hosting, an Active Cloud Escrow Backup service with a 100% data integrity guarantee, and ultra-low-cost preservation storage aligned to AWS prices. Customers also receive comprehensive live webinar training, unlimited support, an online user forum and become part of a rapidly growing global user community that includes the National Library of Australia. Digital transformation is a major focus for Australian cultural, commercial and government organizations. The new portfolio will enable institutions to cost-effectively and securely future-proof long-term digital records to meet FOI, compliance, legal, heritage and brand needs. 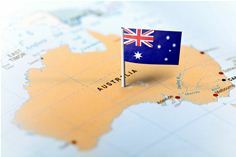 Preservica’s recently announced GDPR enhancements will also enable Australian organizations to meet long-term data privacy obligations for personal data held on European citizens. Preservica will also be hosting a joint launch webinar with AWS (13th June 2018 4pm AEST, 7am BST) that will discuss the benefits of using cloud-hosted digital preservation to future-proof and provide secure access to critical long-term digital information. Learn more and register here: https://preservica.com/events/webinars-live-demos/13/06/2018/australia-aws-launch. Preservica is changing the way organizations around the world protect and future-proof critical long-term digital information. Available in the cloud (SaaS) or on premise our award-winning active digital preservation and access software has been designed from the ground-up to tackle the unique challenges of ensuring digital information remains accessible and trustworthy over decades. It’s a proven solution that’s trusted by businesses, archives, libraries, museums and government organizations around the world – including the National Library of Australia, the UK National Archives, Texas State Archives, MoMA, Yale and HSBC – to name a few.